In particular, kelp is a rich natural source of iodine, making it an excellent supplement to support and maintain a strong glandular system, especially for the pituitary, adrenal and thyroid glands. With properly functioning glands, optimal metabolism is easier to achieve. For many years, the Japanese and the Chinese have been eating kelp and other seaweeds and it is said that one contributing factor to the longevity of Japanese people is the frequent consumption of kelp and other seaweeds. 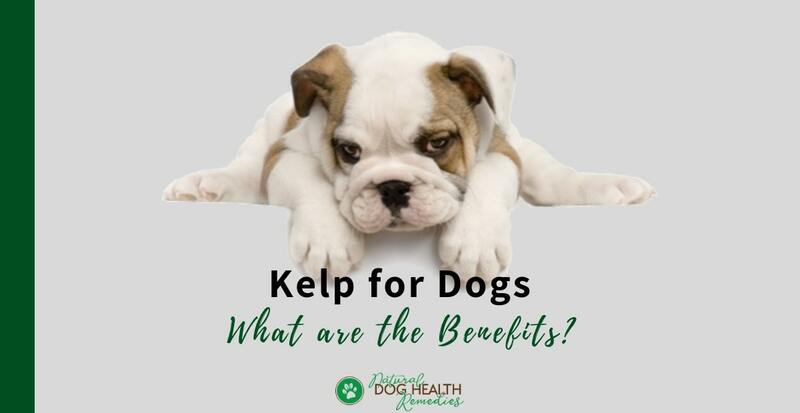 In view of its rich nutrients, recently many holistic vets are also promoting the beneficial effects of kelp for dogs. The rich iodine content and high levels of other nutrient minerals and vitamins in kelp make it an herb of choice for regulating and balancing glandular systems. In particular, dogs will low thyroid hormone levels can benefit from the iodine in kelp. One of the functions of iodine is the stimulation of the thyroid gland. 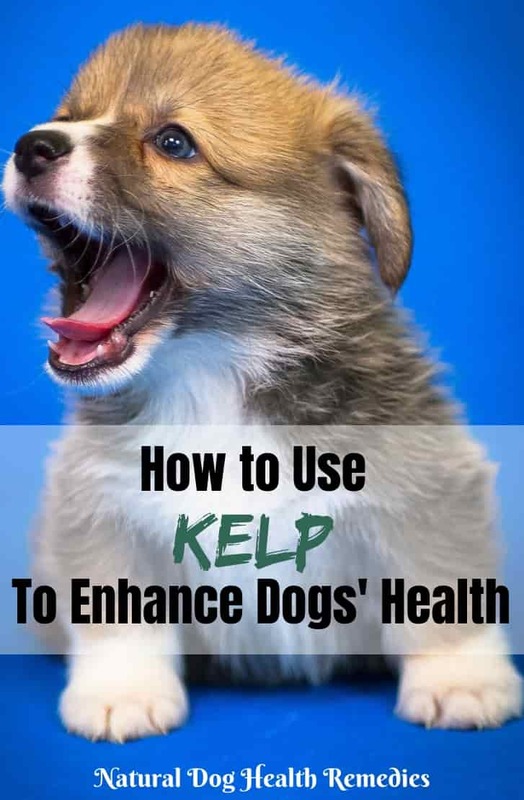 Studies (such as this one and this one) are also being done to look at using kelp as a supplement for diabetic people (and dogs) to help the body in secreting insulin, thereby lowering the blood sugar levels. Dogs with skin irritation problems as a result of allergies, dogs with dry skin, or dogs who are suffering from alopecia (hair loss) can benefit from kelp. In a study, dogs who had been fed kelp daily for a period of six months had darker, thicker, and shinier coats. They also scratched less and their skin was not as dry. The protein in kelp is highly bio-available, which allows dogs to efficiently assimilate its amino acids so they can speedily and effectively assist in tissue repair. It has also been found that kelp could help control fleas on dogs. Dogs were found to be less attractive to fleas and flies after three weeks of supplementation. Dogs can have better maintenance of body weight thanks also to the iodine in the kelp. Iodine stimulates the thyroid gland that controls the dog's metabolism. With better metabolism, dogs with weight problems can reduce their cholesterol levels and lose weight. With better metabolism as a result of improved glandular activities, dogs given kelp supplements can enjoy better general health. This may be particularly important for older dogs whose metabolism may be poor and glandular and immune functions may be compromised. Is Kelp Safe for Dogs? Not all seaweeds are the same. Avoid getting kelp or other seaweeds harvested along U.S. shorelines because such seaweeds might be contaminated by industrial pollution. Deep ocean kelp is considered clean and safe. Norwegian kelp is considered to be special and of the highest quality due to the environment in which the kelp grows. The Norwegian coast is where fresh arctic ocean water meets mineral-rich glacial freshwater run-off, which combine to create the optimal conditions for kelp to thrive. Kelp is generally safe for dogs if fed appropriate amount. The easiest way to supplement kelp is to get a natural kelp product in powdered form and follow the feeding and dosage instructions on the product label. This kelp supplement is formulated with the highest quality kelp. Great product with excellent health benefits for your dog! Combine 1 part unrefined sea salt, 2 parts powdered kelp, 2 parts powdered wheat grass. Add this mixture to your dog's food daily (about 1/8 teaspoon per 5 pounds of body weight). There are also some great natural kelp blends made specifically to support our pets in different ways. This blend is formulated with prebiotics, probiotics, and organic dried kelp. The prebiotic and probiotic blend helps to balance your dog's intestinal flora and promote intestinal health, and the kelp supplies multiple vitamin sources to your dog. If you have a dog who has digestive issues, such as chronic diarrhea, vomiting, gas, and so on, this blend is for her! In addition to organic kelp, this blend contains glucosamine and MSM, two powerful ingredients that provide joint support and improve bone health. Good for dogs with joint pain and osteoarthritis. This blend contains organic kelp and organic flaxseed, which is packed with Omega-3 and Omega-6 fatty acids, both are essential for healthy skin and coat. It also contains probiotics and other ingredients to support the immune system and skin health. Got a dog who is always itchy, and tends to have skin issues? Or maybe you are not too happy with the dull hair coat of your dog? Try this one out! This blend contains kelp and plant enzymes and is excellent in promoting oral health in dogs. The enzymes work by breaking down pieces of food trapped between your dog's teeth and under their gum lines. If your dog is not too eager to have his teeth brushed, and his breath is, well, not too fresh, this blend may help!